The VITEK® 2 system has everything healthcare laboratories need for fast, accurate microbial identification, and antibiotic susceptibility testing. The innovative VITEK® 2 microbial identification system includes an expanded identification database, the most automated platform available, rapid results, improved confidence, with minimal training time. The VITEK® 2 system next-generation platform provides greater automation while increasing safety and eliminating repetitive manual operations. 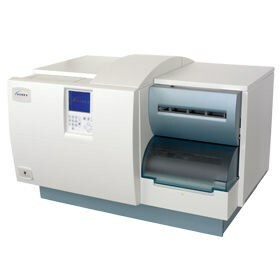 The rapid response time means results can be provided more quickly than with manual microbial identification techniques. 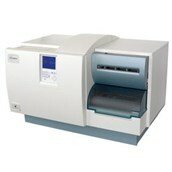 VITEK® 2 is a fully automated system that performs bacterial identification and antibiotic susceptibility testing. User interface screen for immediate notification of system status to increase productivity. Unique vacuum filler provides both safety and the highest level of automation. Designed for simple temperature verification. Completed tests are automatically ejected into an ergonomic trash container. The VITEK® 2 Compact bacterial identification system, which is available in three sizes, brings VITEK® 2 technology to laboratories of every size. This instrument uses the same ID/AST cards, data management software and Advanced Expert System™ (AES) as the larger VITEK® 2 instrument. There are no threads in bioMérieux VITEK® 2 Reviews at this time.